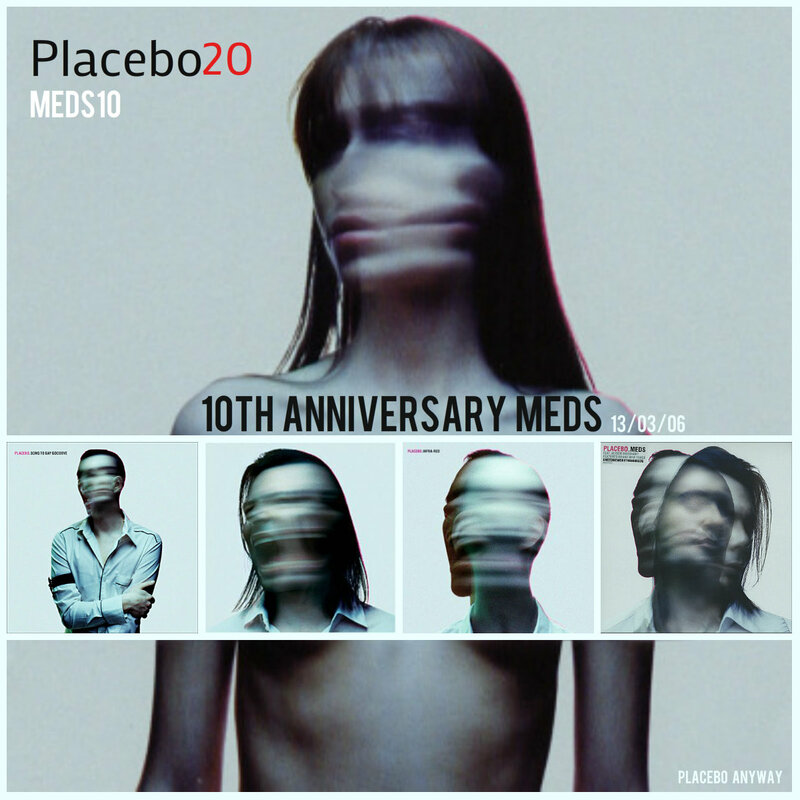 Meds is the fifth studio album by our favourite bandPlacebo. It was recorded from late 2005 to early 2006 and released on 13 March 2006 by record label Virgin in most countries, although it was released three days earlier in Australia and New Zealand. Illegal copies had previously been available on the Internet since 17 January 2006. So today we celebrate officialy the MEDS10 Anniversary! Meds was released 13 March 2006 worldwide, although it was released three days earlier in Australia and New Zealand.Illegal copies had previously been available on the Internet since 17 January 2006. The album was re-released by Virgin in the United States in January 2007 with three extra tracks—"Lazarus", "UNEEDMEMORETHANINEEDU" (both B-sides to the "Meds" single) and "Running Up That Hill"—and "In the Cold Light of Morning" omitted (because it contains "dirty words"). The album was released with the Copy Control protection system in some regions. The Chilean two-disc edition includes a bonus disc of live tracks recorded at the Centro Cultural Estación Mapocho, Santiago on 1 and 2 April 2005, entitled Live in Chile. The US release version has different arrangements of various tracks e.g. it omits the glockenspeil during Pierrot the Clown giving a much more bare-bones version of the song. en 3/13/2016 10:00:00 a. m.
Brian Molko (Placebo) about his son Cody. BRUISE PRISTINE - Placebo's first single was released on 2ND FEBRUARY 1995. 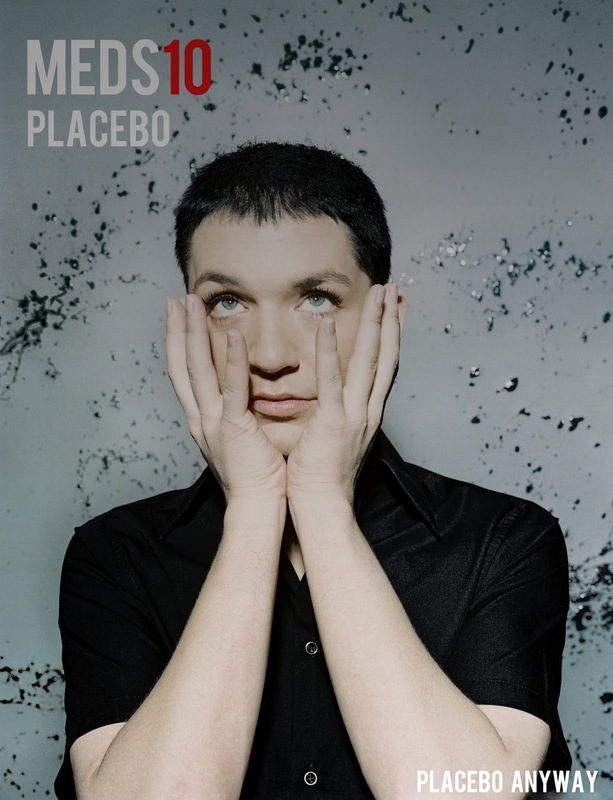 Brian Molko - Placebo - Interview: "I do not need social media"
The content on this blog is the opinion of the owner of this blog. It is not our intention to malign any religion, ethnic group, club, organization, company, individual or anyone or thing. Any reader of this blog will not hold us liable for what we say or display. We make no representations as to the accuracy or completeness of any information found by links from external websites pointing to content on our site. If we use images that are not ours, we will say so. For any images used on this site we are not responsible for any harm, offence, losses, damage or injury caused by the images to the reader. We are not responsible, nor will we be held liable for anything anyone says on our blog in the blog comments, nor the laws which they may break in your country or theirs through the content of their comments, the implication of their comments or the intent of their comments. Our intention is to do no harm, nor injure others, defame others, or to libel others. The content on this blog is opinion and not counsel or advice. What we write on this blog should not be taken as fact, or absolute. If you use our advice, tips, techniques, and recommendations, you do so in the judgment that these are appropriate to your situation. We are not to be held responsible for any injury, suffering, loss, offence, harm or damage as a result. We not responsible for the republishing of the content found on this blog on other web sites or media without permission.